Mike Janke passed away on March 21, 2007. 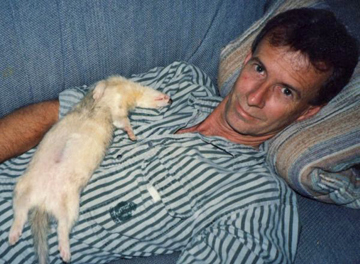 He was one of the true treasures of the ferret world and he is sorely missed. Always modest while always active, Mike first began helping shelters and later also worked to make sure that vets and ferret people could get the medical help they needed. With his quick wit and his spare, clear writing style, Mike was able to make even difficult concepts easy to understand. 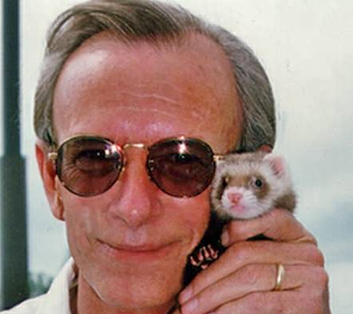 Anyone who read his articles on this site or on the Ferret Health List and the Ferret Mailing List (both Internet-based mailing lists) knows how accessible he made information. Even though he wasn't a vet, some of Mike's writings or links to them were carried to veterinary journals. Donations to both are tax deductible.